Each pack includes 4x sachets of coffee. With a name translating to “good cafÃ©”, CaffÃ© Bene strives to bring customers the best coffee within a European ambience. From its roots as the largest cafÃ© chain in South Korea, it has since opened outlets in China, Mongolia, Cambodia, Singapore, Malaysia, and the United States, presenting customers coffee variants including Americano, Espresso, Cappuccino, Caramel Macchiato, and hand-dripped Brazilian coffee alongside Korean bingsu shaved ice, gelato, waffles, and Snowflake desserts. 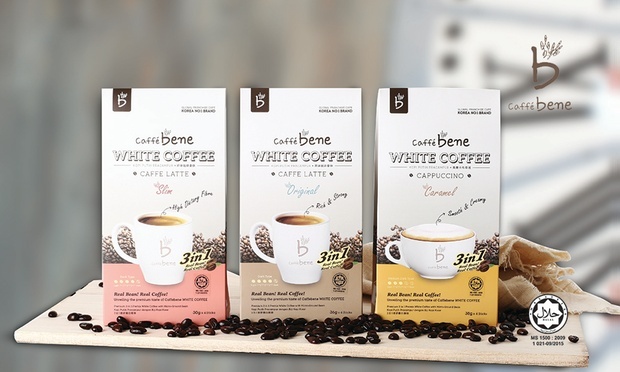 Hankerings for a caffeine boost can be sated at CaffÃ© Bene’s ten outlets across Malaysia.